Are you tired of winter and the cold, ice and snow that comes along with it? If so, how about a nice trip to Caribbean to warm things up? Well, check out the information on Moon Dance Cliffs Resorts. Perhaps this is just the mid-Winter break that you need! Boutique hotel and luxury villa collection poised on Negril’s dramatically scenic, seaside cliffs named a Travelers’ Choice 2013 Winner!!! Cliffs of Negril, Jamaica – Moon Dance Cliffs Hotel & Spa, an idyllic seaside resort perched on the dramatically beautiful, westernmost edge of Jamaica, has been named one of 2013’s Top 25 Luxury Hotels in the Caribbean by TripAdvisor.com. TripAdvisor is the world's largest travel site, and its Traveler’s Choice designation is one of the industry’s most prestigious. Negril’s newest luxury resort, Moon Dance Cliffs offers spacious and luxurious accommodations that let you spread out, relax and enjoy your tropical “home away from home,” as TripAdvisor describes the resort in the ranking. These include 480- to 1,200 square-foot rooms and suites, along with 1-, 4- and 5-bedroom private, poolside villas. All the villas have private garden Jacuzzis and fully-stocked wet bars and some also feature full-size pool tables in the living rooms. Moon Dance Cliffs offers something for everyone—from the active adventurer who wants to jump from the resort’s lifeguard-attended cliffs into the warm Caribbean waters or snorkel off its shore, to the more relaxed traveler who just wants to sit by the designer pool or their private verandah and watch the sun slip behind the watery horizon. Moon Dance Cliffs is also home to Annie’s restaurant and a poolside/swim-up sports bar, as well as the full-service Kamala Spa and Salon. 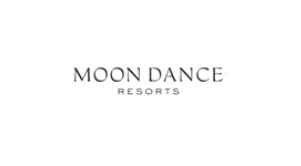 The resort joins its sister property, the acclaimed Moon Dance Villas resort, located up the coast on a private stretch of famed Seven Mile Beach--consistently rated one of the top 10 beaches in the world. In addition to Moon Dance Cliffs’ exceptional accommodations, amenities and location, owner Randy McKay said guests appreciate the warm, personal service the staff prides itself on. “Our service sets us apart more so than anything, and I believe the Travelers Choice award reflects this,” McKay said. About Moon Dance Resorts - With two beautiful locations in Negril, Jamaica, Moon Dance Resorts offer something for everybody. From fully staffed, luxury, beachfront villas at Moon Dance Villas to the modern Moon Dance Cliffs boutique hotel and villa resort on the dramatic cliffs, both are perfect island getaways. In the over 25 years we have been in business in Negril, we have welcomed innumerable guests, planned hundreds of weddings, and introduced many people to the beautiful island of Jamaica and its wonderful people. At both Moon Dance Villas and Moon Dance Cliffs we strive to provide the best service in Jamaica. Our friendly, amenable staff is there throughout your stay, ensuring your comfort and taking special care to make your stay at Moon Dance absolutely unforgettable.